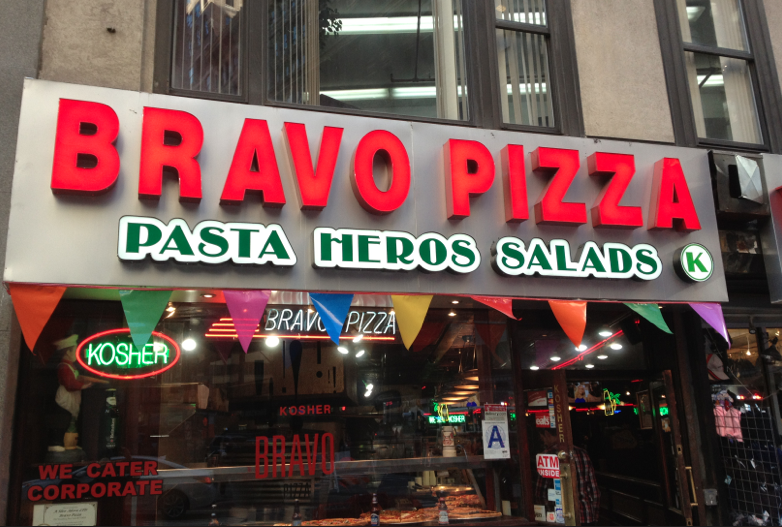 Bravo Pizza‘s first kosher shop on Broadway, replacing a non-kosher Bravo Pizza shop 5 years ago, proved to be too successful for its small location. The shop was often cramped and the wait times were long. 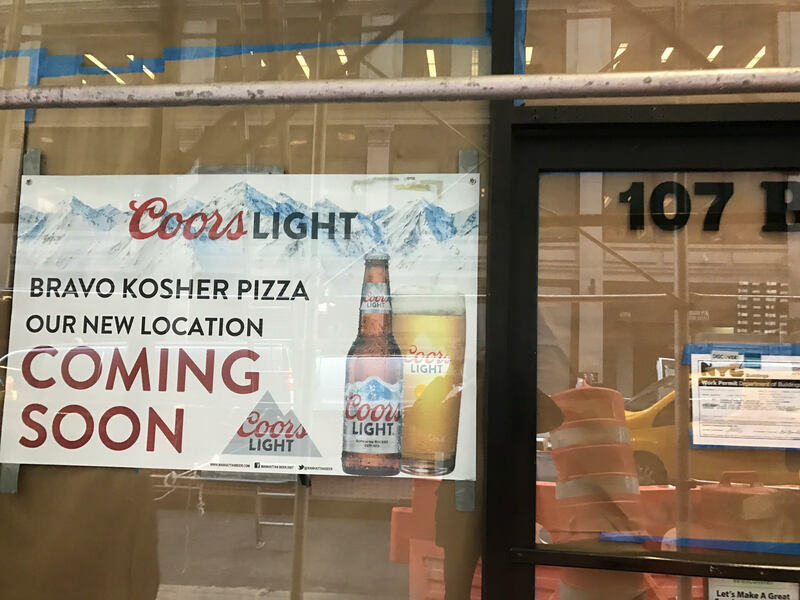 To solve for this problem, the kosher pizzeria is expanding into a larger location nearby. 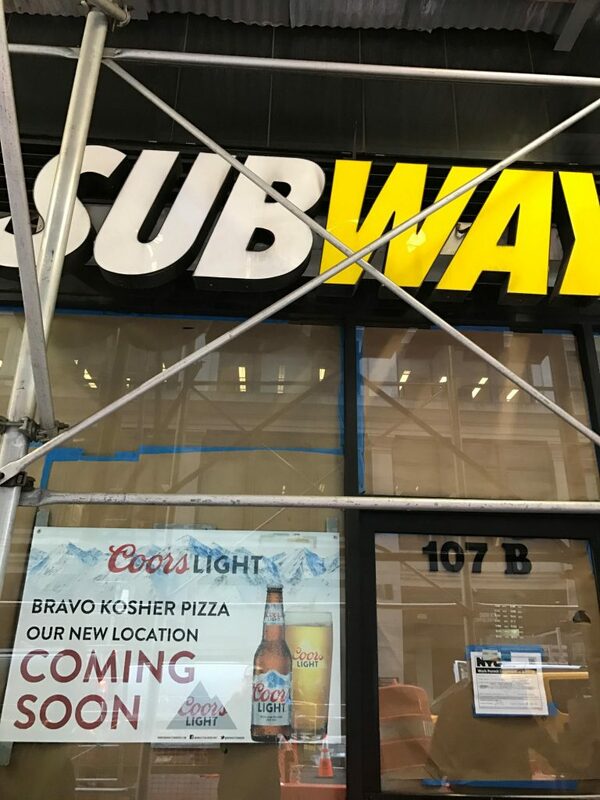 Replacing a closed Subway shop diagonally across the street on W37th between Broadway & 6th Avenue, literally 230 feet away from the old location (I Google Mapped it) the new Bravo Kosher Pizza location will be 3-4x larger, being able to seat and serve significantly more customers. The manager at Bravo claims that they are seeking to open that new location sometime in March of this year. As for the current location, Bravo’s ownership will be keeping the property. It is unclear at this time if it will remain as a second kosher store for them, or if they will convert it back to a non-kosher Bravo location (where many exist throughout the city). Bravo Kosher Pizza is under the kosher supervision of the OK. They also operate a kosher pizzeria downtown.